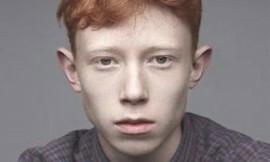 The Muses: King Krule is back with a vengeance! King Krule is back with a vengeance! I feel slightly embarrassed saying this (and rightly so), I didn't realise that King Krule had soundcloud, or if I did - I never bothered following him. And now like an empty glassing filling up with water the regret starts to fill me. King Krule said on his facebook that he's "back with a vengance!" (obviously we all know what he meant). Now, I don't know if its genuinely his account but he then posted on a different account a couple of days later the song that I'm about to post. I think its amazing. He has the right merge of all the correct instruments, vocally its perfect for the tune and just his general amazingness. I absolutely love this, and I love him! I'm just waiting for an album! Disclosure have released another track.